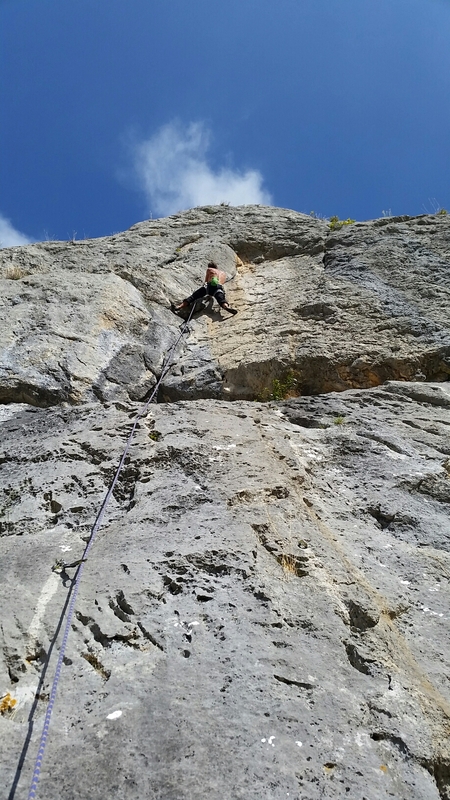 For our last day in Leon we checked out this beautiful gem of a crag, climbing on limestone fins next to a babbling stream and only 2 minutes from the car. Yet another one that fits the Leon blueprint: Gorgeous location, great, but very compact rock and tough grades! 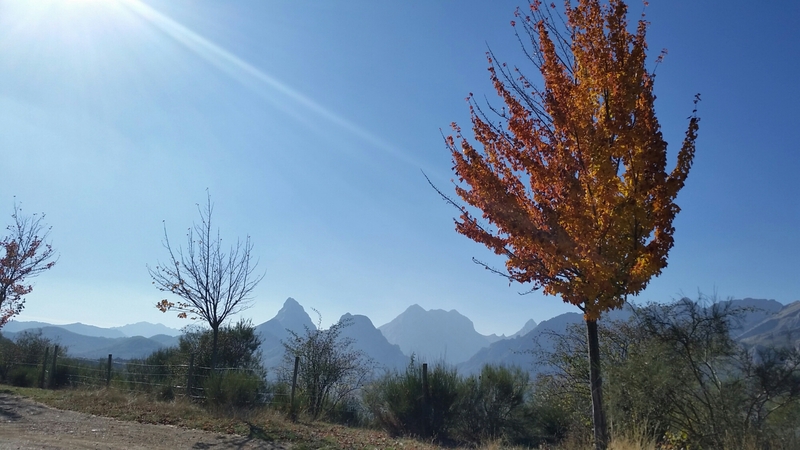 I’d had a very complicated discussion with the campsite owner on our departure, who was very keen that we took in the most “guapa” (beautiful) sights on our drive back to the coast. 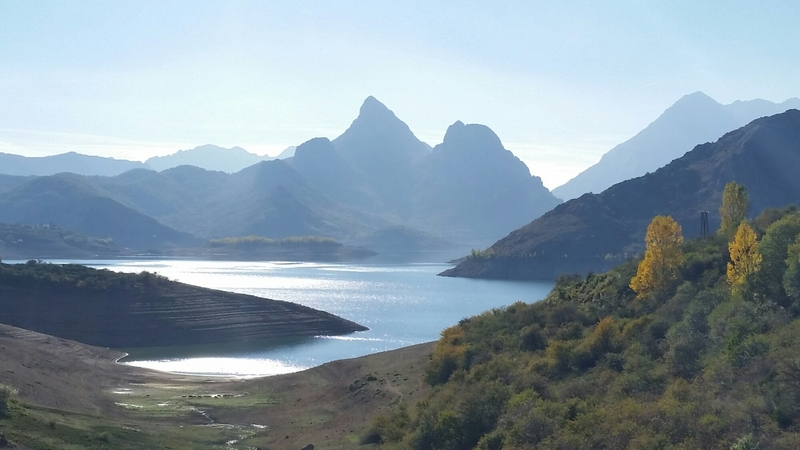 On her recommendation we took the scenic route via the Embalse de Riano, which did provide some stunning scenery. 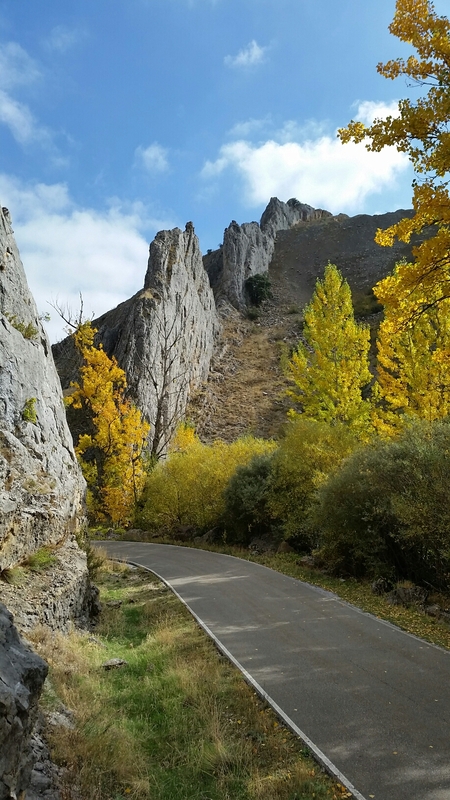 This led us to re-cross the Picos via the Desfiladero de los Beyos – even more impressive than the Hermida gorge where we spent our first week.